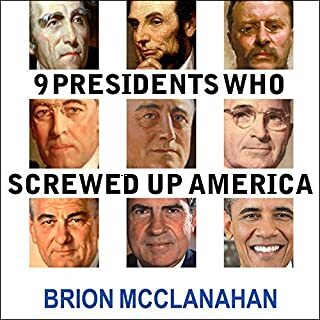 Of the 44 presidents who have led the United States, nine made mistakes that permanently scarred the nation. Which nine? 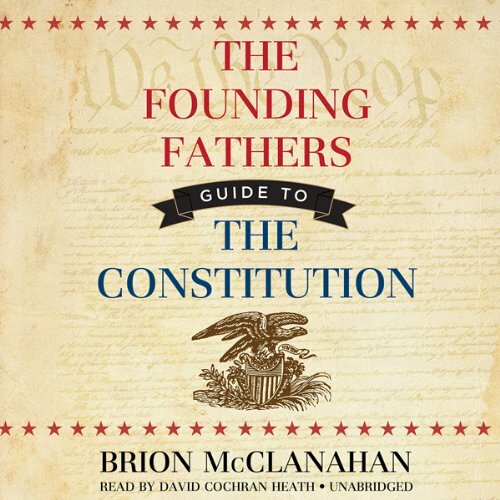 Brion McClanahan, author of The Politically Incorrect Guide to the Founding Fathers and The Founding Fathers' Guide to the Constitution, will surprise listeners with his list, which he supports with exhaustive and entertaining evidence. Senator Mike Lee tells the dramatic, little-known stories behind six of the Constitution's most indispensable provisions. He shows their rise. He shows their fall. And he makes vividly clear how nearly every abuse of federal power today is rooted in neglect of this Lost Constitution. From war powers to health care, freedom of speech to gun ownership, religious liberty to abortion, practically every aspect of American life is shaped by the Constitution. This vital document, along with its history of political and judicial interpretation, governs our individual lives and the life of our nation. Yet most of us know surprisingly little about the Constitution itself, and are woefully unprepared to think for ourselves about recent developments in its long and storied history. What does the Constitution really mean? How did the founding generation intend for us to interpret and apply the Constitution? Are liberals right when they cite its “elastic” clauses to justify big government, or are conservatives right when they cite its explicit limits on federal power? 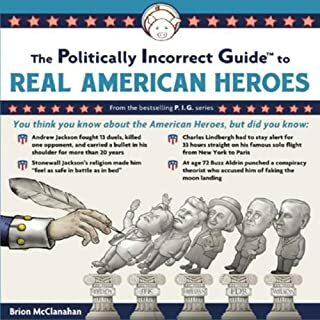 Professor Brion McClanahan, popular author of The Politically Incorrect Guide to the Founding Fathers, finds the answers by going directly to the source—the Founders themselves, who debated all the relevant issues in their state constitutional conventions. 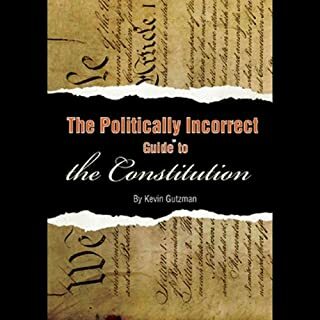 In The Founding Fathers’ Guide to the Constitution, you’ll discover how the Constitution was designed to protect rather than undermine the rights of states; why Congress, not the executive branch, was meant to be dominant and why the Founders would have argued for impeaching many modern presidents for violating the Constitution; why an expansive central government was the Founders’ biggest fear, and how the Constitution and the Bill of Rights were designed to guard against it; why the founding generation would regard most of the current federal budget, including “stimulus packages,” unconstitutional; why the Founding Fathers would oppose attempts to “reform” the Electoral College; why they would be horrified at the enormous authority of the Supreme Court; and why they intended Congress, not the Court, to interpret federal law. Authoritative, fascinating, and timely, The Founding Fathers’ Guide to the Constitution is the definitive layman’s guide to America’s most important—and often most willfully misunderstood—historical document. ©2012 Brion McClanahan (P)2012 Blackstone Audio, Inc.
Conservtive bias but very powerful & informative. Not too much editorializing but it was there. Great nuggets of primary source quotation. A easy explaintion of the US Constitution. Was a nice review of what the founders were thing as they considering as they radifed The Constitution. The author does a great service to his readers by explaining how the Constitution should be interpreted, i.e. as it was sold to the states for their ratification. Would you listen to The Founding Fathers' Guide to the Constitution again? Why? 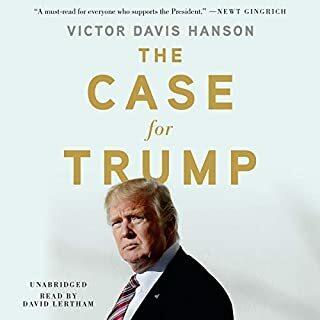 I think the most interesting parts of this book were the sections on the electoral college. 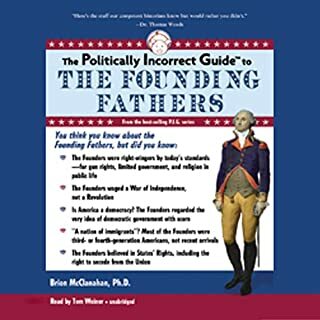 I think the author does a very good job of really defining what was meant by the founders and how they viewed the constitution. Every one should learn this. What did you love best about The Founding Fathers' Guide to the Constitution? 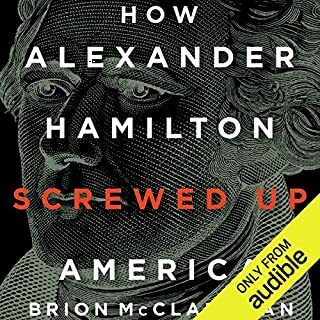 How the author gathered these documents and tells the story with facts.How states rights have been slowly taken away.The best i've read so far on the Constitution and what was trying to be done,and what eventually became our law of the land.How far we've come since our founding is sad to think about.But facts are stubborn things. Just learning how some of the founders had different ideas about how this country should be and what eventually did become our Constitution. Have you listened to any of David Cochran Heath’s other performances before? How does this one compare? I don't think i have,but this was done well. Just a very good History lesson and not to long or to complicated to understand.